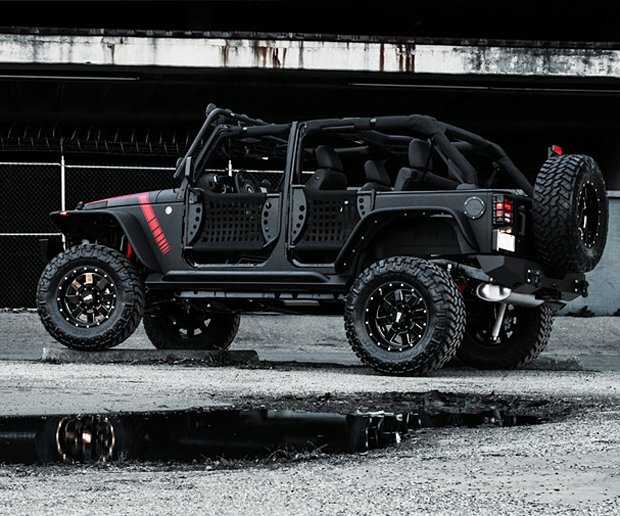 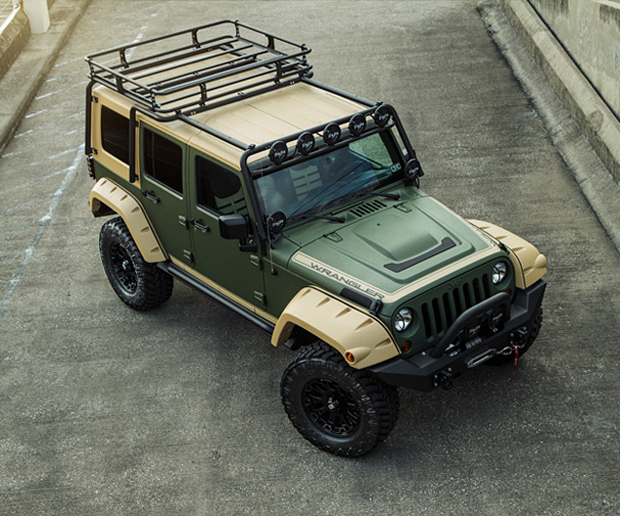 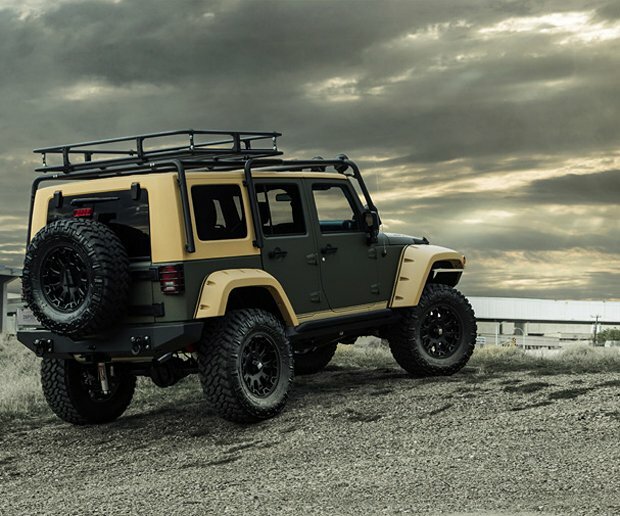 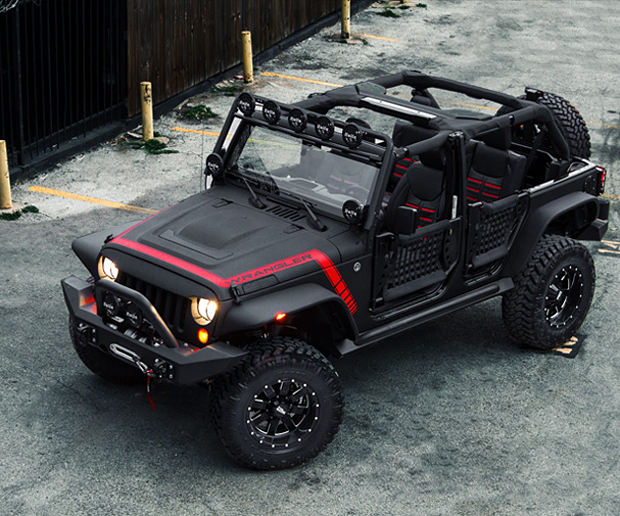 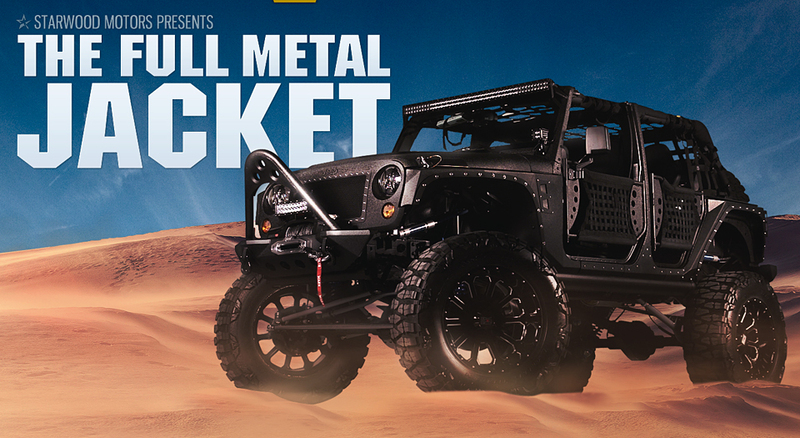 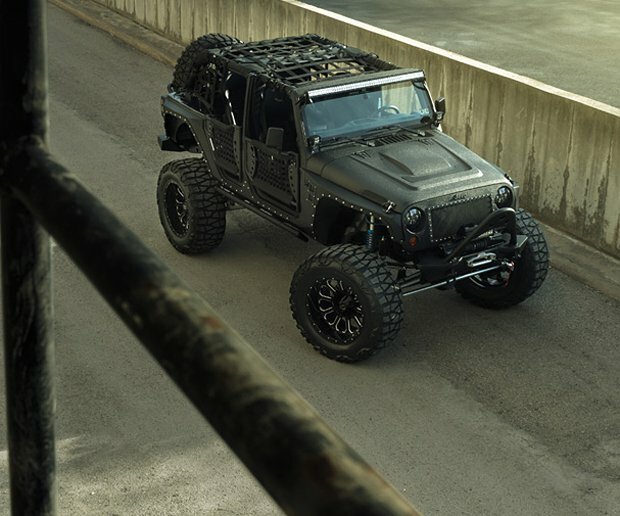 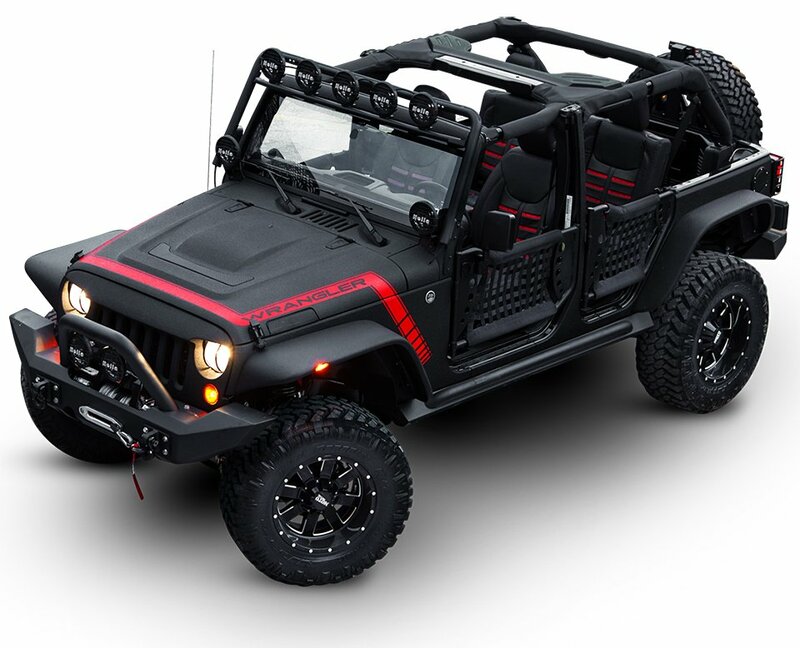 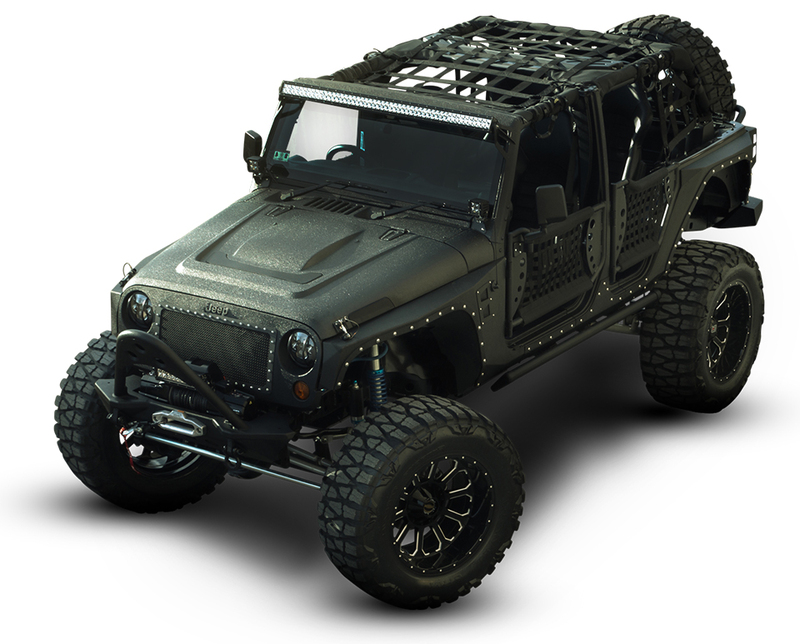 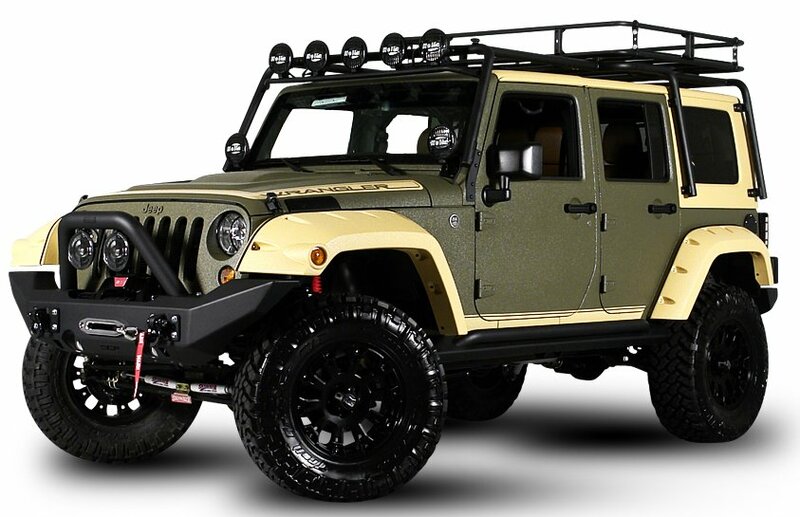 Dallas-based Starwood Motors make extreme yet stylish Jeep Wrangler mods. 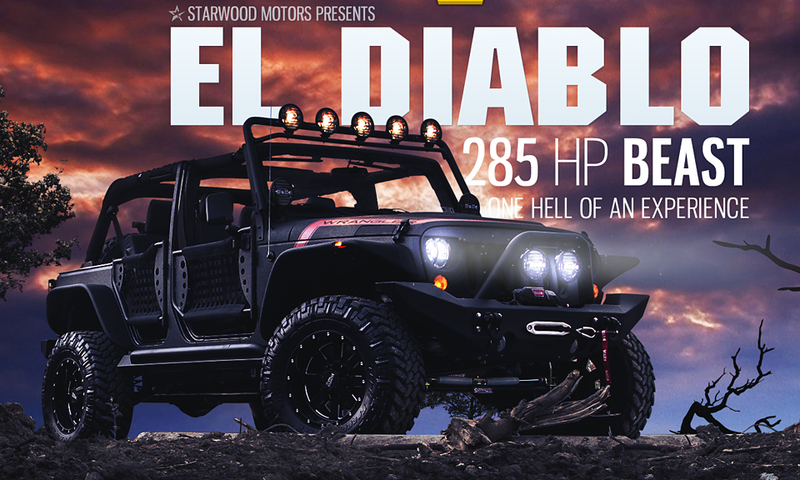 The El Diablo, Adventure and Full Metal Jacket have a 285hp 3.6L V6 Pentastar engine, Kevlar coating and Skyjacker suspension. 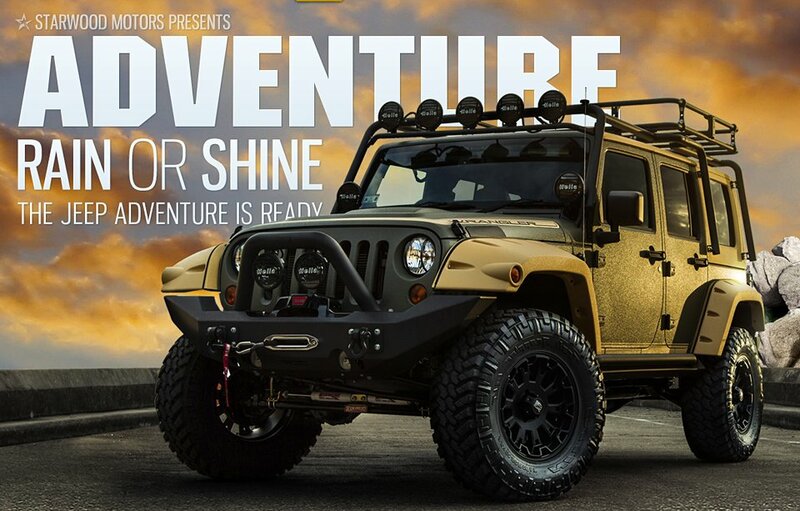 Videos here.